Sierra Club is one of the most effective anti-nuclear environmental organizations in the world, with gross revenues in 2015 of $122 million and $75 million in revenues for Sierra Club Foundation in 2016. Sierra Club has long advocated replacing nuclear plants with coal, natural gas, and renewables, from California to Ohio, a strategy it continues to employ today. In 2012, the Sierra Club admitted it had taken $26 million from natural gas companies — but only after Club activists took the information public. Sierra Club has taken an additional $110 million from Michael Bloomberg, a major investor in oil and natural gas. The CEO of solar company Solaria. 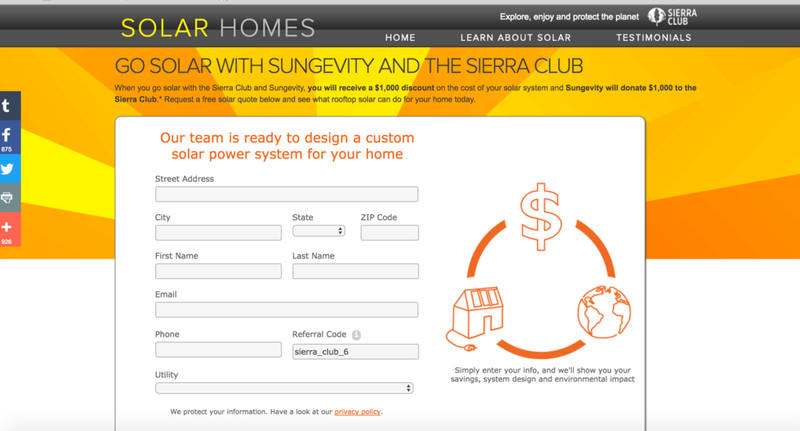 Sierra Club openly takes money from solar energy companies including Sungevity that benefit from its lobbying for renewables subsidies and the closure of nuclear plants.